SAN DIEGO and DALLAS, Jan. 16, 2019 /PRNewswire/ -- AMN Healthcare today announced that it is one of 230 companies selected for the 2019 Bloomberg Gender-Equality Index (GEI), which distinguishes companies committed to transparency in gender reporting and advancing women's equality. "It's a tremendous honor for AMN Healthcare to be chosen for the Bloomberg Gender-Equality Index, which reflects our strong commitment to promoting gender equality and all diversity among our team, our suppliers, our clients, and the communities where we work and live," said Susan Salka, President and CEO of AMN Healthcare. 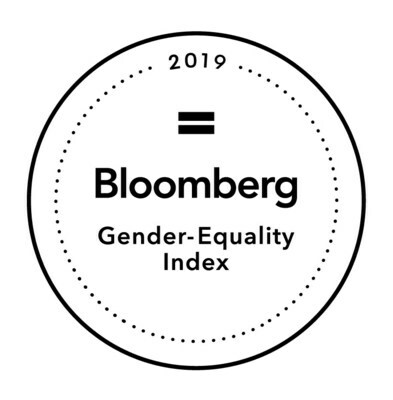 Bloomberg's standardized reporting framework offers public companies the opportunity to disclose information on how they promote gender equality across four separate areas – company statistics, policies, community engagement and products and services. Reporting companies that score above a globally-established threshold, based on the extent of disclosures and the achievement of best-in-class statistics and policies, are included in the GEI. "We applaud AMN Healthcare and the other 229 firms tracked by the index for their action to measure gender equality through the Bloomberg GEI framework," said Peter T. Grauer, Chairman of Bloomberg and Founding Chairman of the U.S. 30% Club. "AMN's GEI inclusion is a strong indicator to its employees, investors and industry peers alike that it is leading by example to advance ongoing efforts for a truly inclusive workplace."